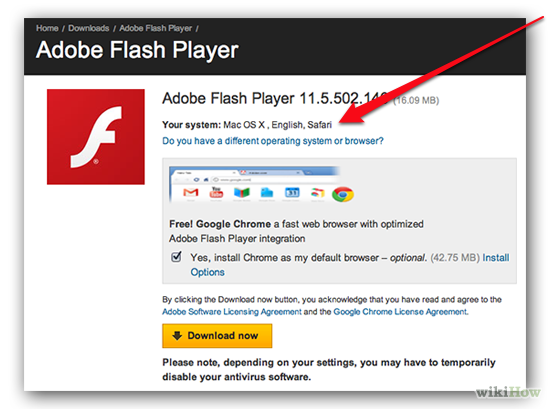 Adobe's Flash Player brings large amount of streams of content to browsers everywhere. 1. Go to Adobe's website i.e, Adobe.com. 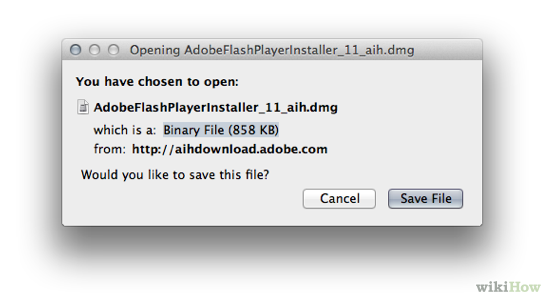 Through the browser on which you want to install Adobe Flash Player. The Flash Player down loader page will recognize your browser or operating system, and help you to find correct download installer for your needs. Verify that the information provided is correct. On some browsers they offer to also download the Chrome browser. If you want then leave the box checked. If not then unchecked the box. 2.Clicking on the "Download now" button will Save the file when prompted. Mostly it will save to the Downloads folder specifically for your browser. 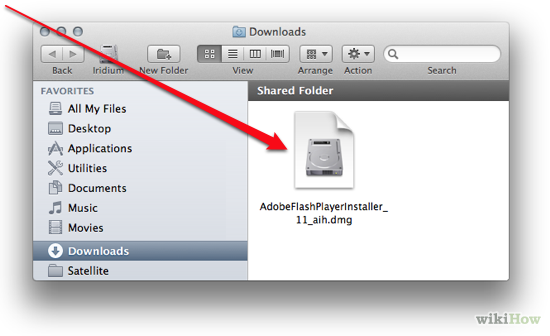 3.Open and Locate the "AdobeFlashPlayerInstaller" file on your system and double-click to open it. 4. Now run it. 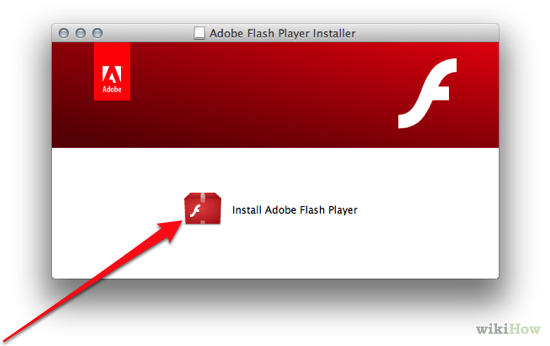 When the Adobe Flash Player disk image will loads then double-click the "Install Adobe Flash Player" icon in the window. 5. 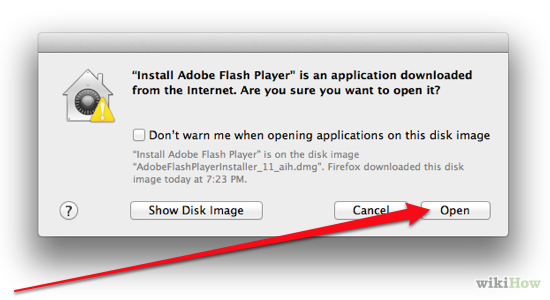 Now a popup dialog will ask if you're certain you can trust content downloaded from Adobe.Accept the warning. Since they are a well known company, then it is safe to click on Open. 6. 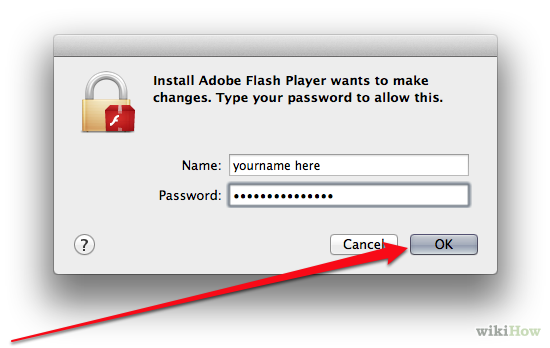 If you are installing on a Mac you'll be required to sign in as admin with your username and password.Sign in and then click "OK" to continue. 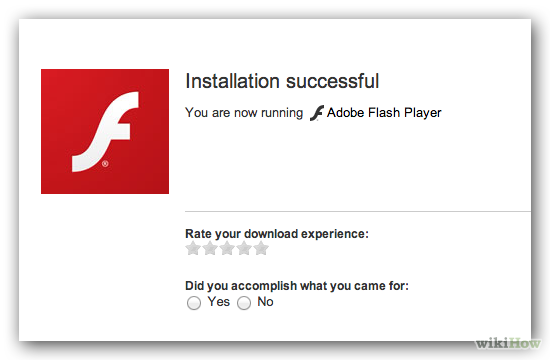 7.Now Installation will begin and a progress bar will show the status of the installation. When it is complete then click the Finish button.